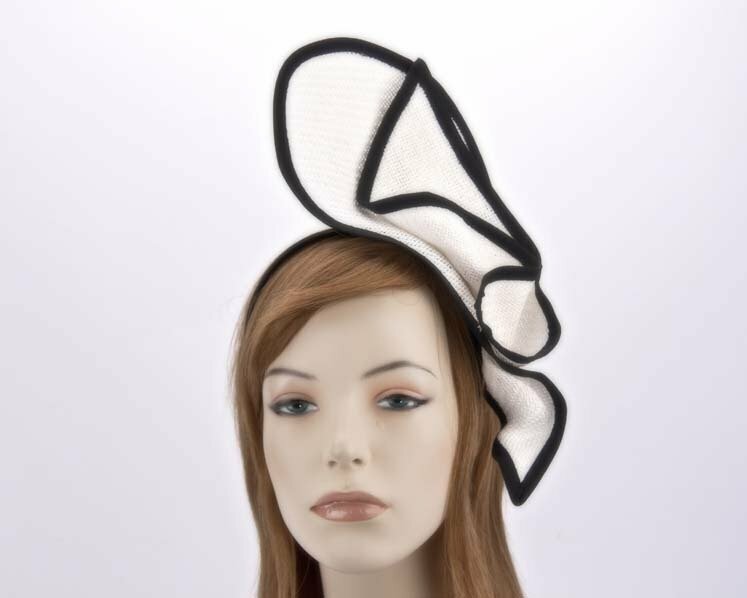 This very unusual tall white racing fascinator with black outline is from latest Max Alexander spring summer collection and is mounted on the headband for comfortable wear. An elegant choice for your Melbourne Cup and Derby racing outfit. Hats From OZ is Australia most trusted ladies fashion hats and fascinators store!